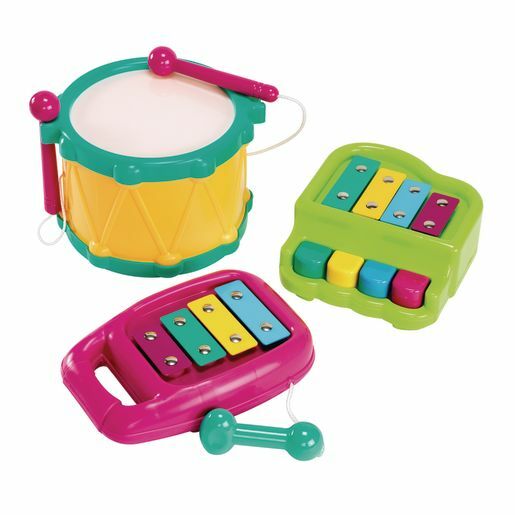 This set of 3 bright instruments for the beginning musician includes a xylophone, piano and drum. Features chunky designs and does not require batteries. 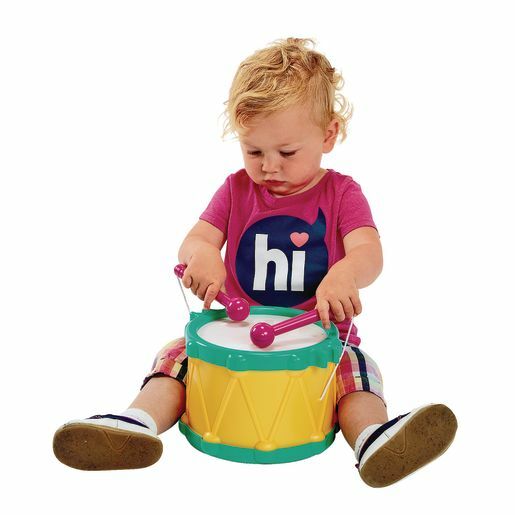 Xylophone (mallet included) is 9"L, piano is 7"L and drum is 6"H (drum sticks included).